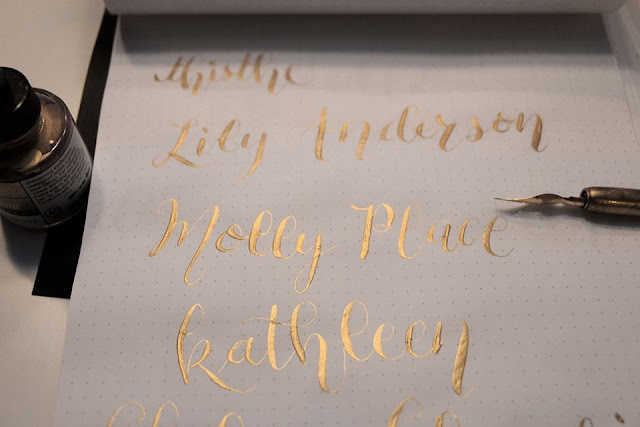 This past month I have fallen deeply for modern calligraphy. There's so much to cover and I'm feeling overwhelmed just thinking about it. But I thought this blog would be a great place to start with just an intro post. If any of you have been contemplating giving it go I want to urge you to try. It's a lot easier than you may think. First let me give you my personal recommendations for beginners. 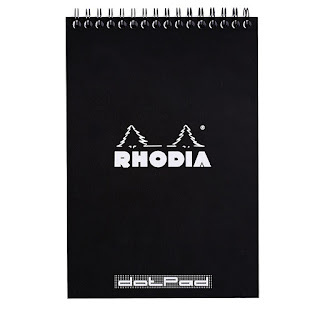 First get yourself a Rhodia notepad at Michaels. It will have either gridded sheet or dotted sheets. I prefer the dotted sheets as I think it makes my work look less "busy". I recommend getting it at Michaels because then you can use their 40%-60% off coupons. 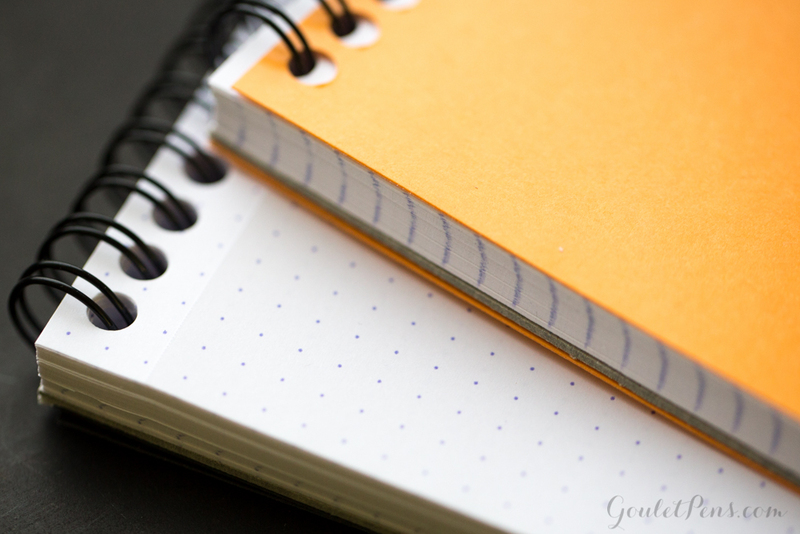 I also recommend the spiral notebooks vs. the stapled ones because it's a lot easier to use the top and backs of the pages. 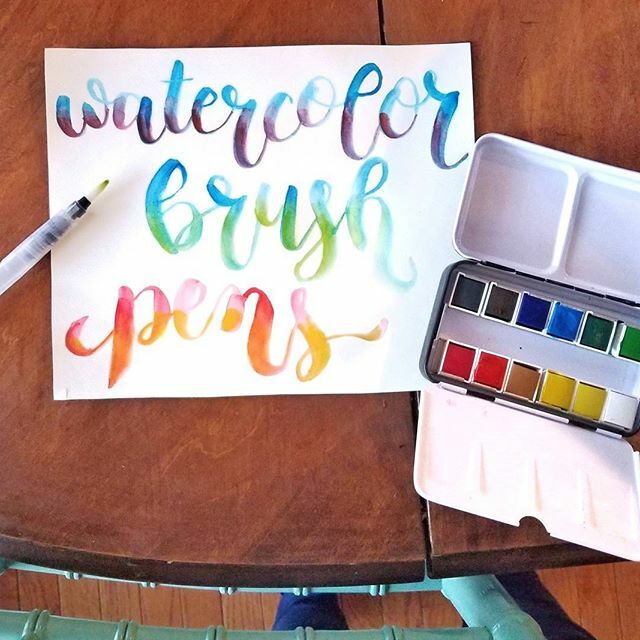 Secondly, I recommend buying the 24 piece dual tip watercolor brush pens by Artist's Loft. 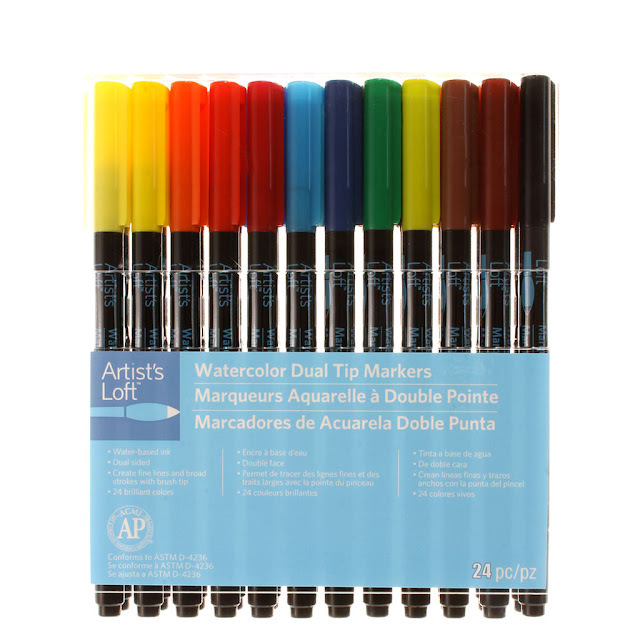 I also recommend the Tombow dual tip markers but they are a bit more pricier. I also recommend Kelly Creates dual brush dream pens and Marvy's Color In Brush Markers. All of those are available at Michaels and can be bought with a 40% - 50% off coupon through the Michaels app. Next I recommend printing out a few practice sheets. I've made my own here with my favorite versions of the letters in the alphabet in lowercase and capital for free! I will be making more practice sheets later so please check back and subscribe by email for more goodies! Use only premium laser printer paper, NOT inkjet copy paper. The inkjet paper is more absorbent and will therefore fray your brush pens. Tombow also has great free printable alphabet worksheets. They're a little more traditional than mine if you're into that. 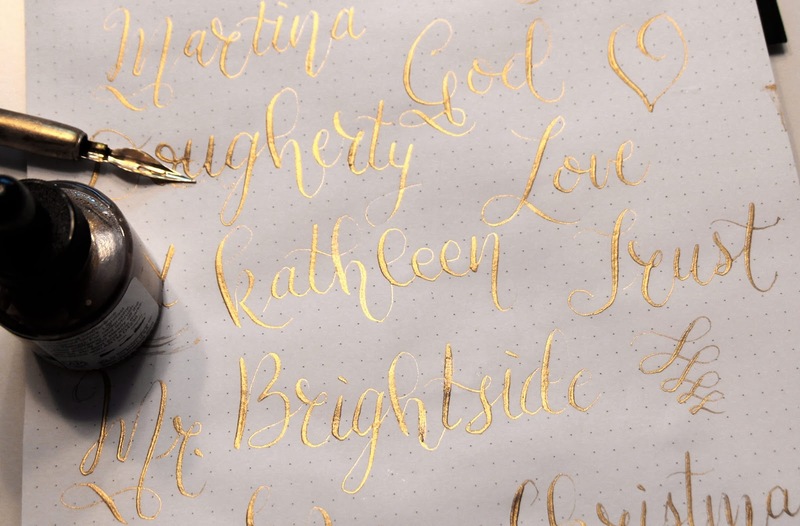 Also, it's fun to write with metallic brush pens. 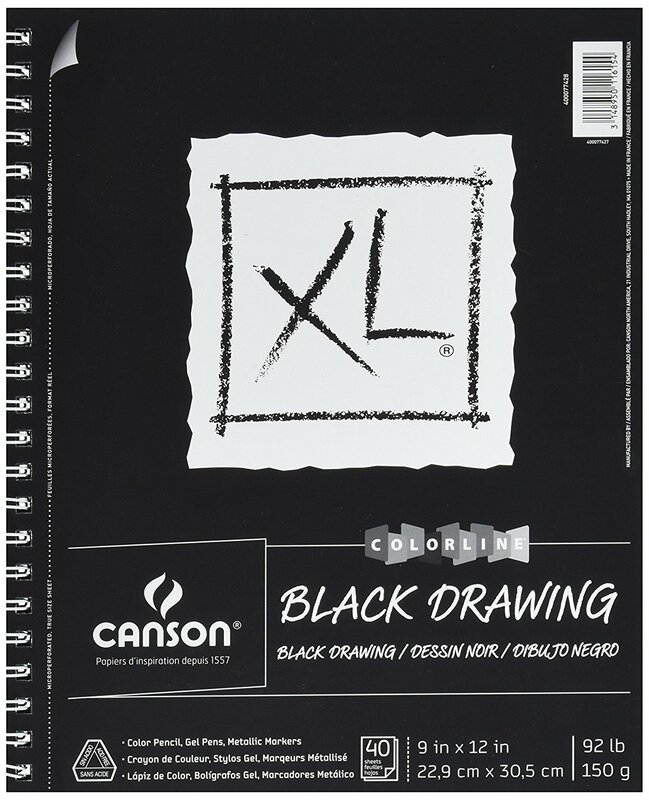 They are brush pens that will show up on black paper. I use Kuretake metallic brush pens. 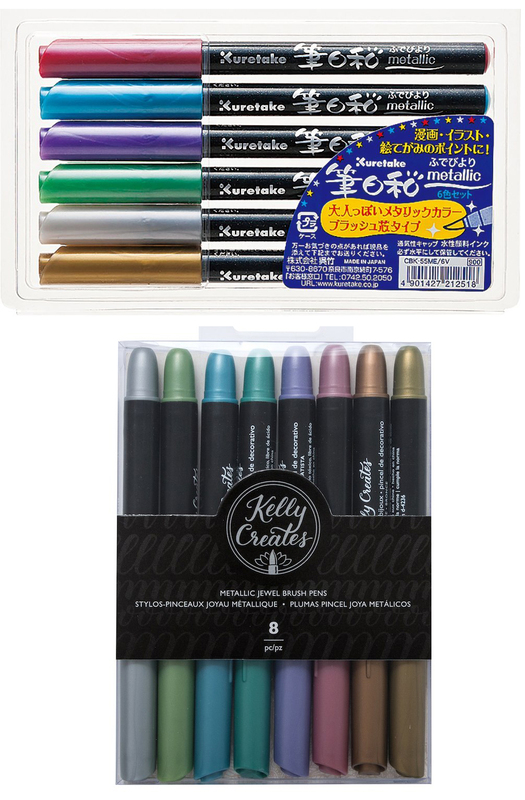 But I also recommend Kelly Creates Metallic Jewel pens available at Michaels. You will also need black paper. This is a great pad for that. 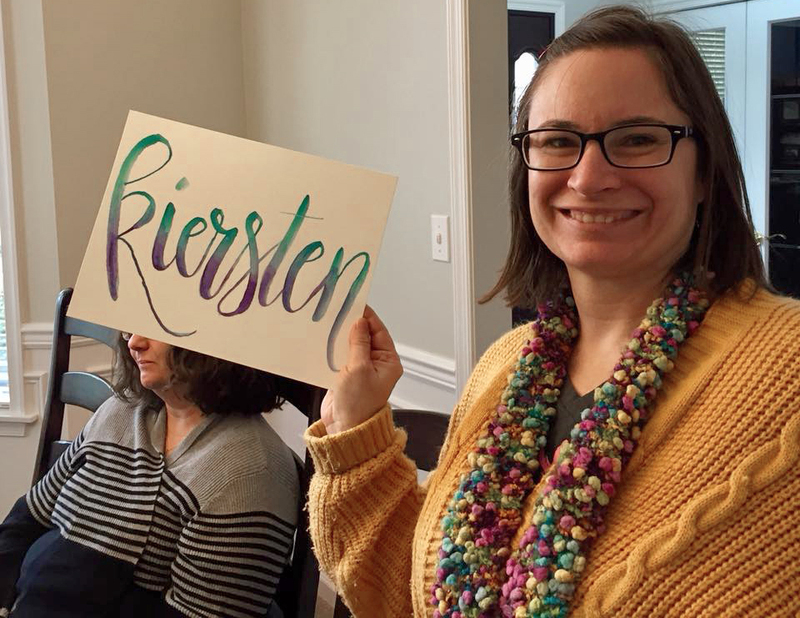 I hope to make a few new calligraphy videos but in the meantime if you want to get started here are some of my favorite modern calligraphy YouTubers that have some great beginner videos. 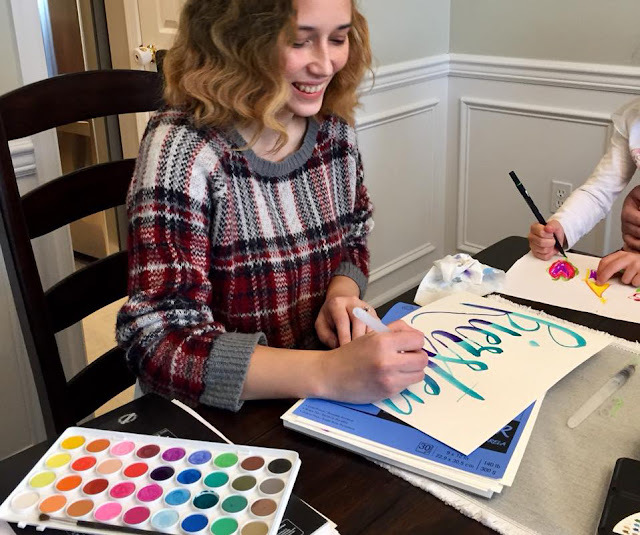 Once you start to get into modern calligraphy you'll start to want to try other mediums. I recommend trying out watercolor pens. And then if you want to go even BIGGER with your strokes I recommend these watercolor pens. You can also get a set of cheap watercolors in a wide variety of colors. Also, you need to buy a watercolor pad because watercolors will warp regular paper. I recommend cheap 90lb paper. 120 lb is nice too but it's not that necessary. There are 90lb paper pads at Walmart. Watercolors are more forgiving of mistakes. You can also get a wider stroke. They're also great for blending colors like in the two photos above and below. And then there's DIP PENS! I didn't think I'd like dip pens because they're messy and impractical but I found that I really love being able to write on stationary. Plus the inks are amazing! I'm especially loving Dr. Ph's Iridescent inks in a set or in singles. When they dry they have a raised appearance on the paper. For regular ink I use Dr. Ph's Bombay India Ink. These are my favorite nibs. They have the most variation from side to thin strokes. 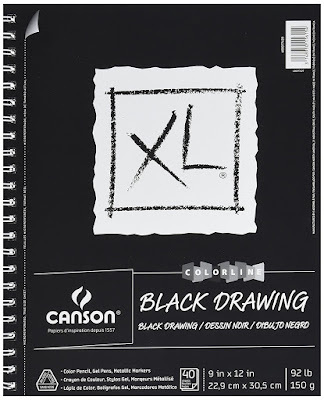 Paper and Ink Arts seem to have the best prices and although shipping wasn't as fast as Amazon it only took 4 days to get to my home after ordering. 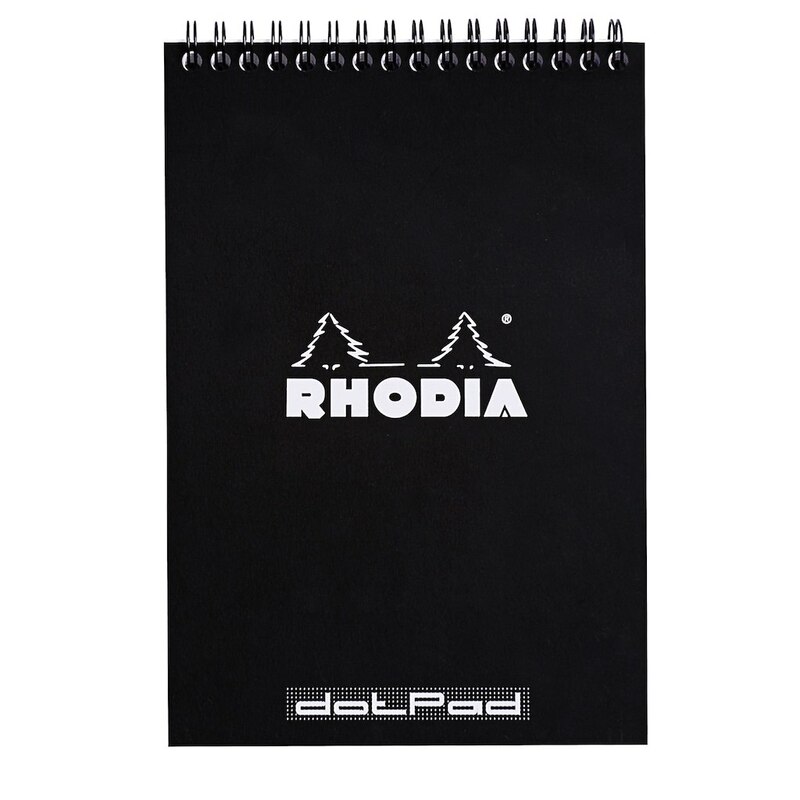 I especially like that last one because it has a spiral reservoir which helps to keep you from having to dip your pen every few seconds. Here is an inexpensive nib holder. If dip pens aren't your thing because of their impracticality, I also recommend Noodler's fountain pens. These are nice to keep in your purse and whip out to impress your friends when you're signing a restaurant bill. 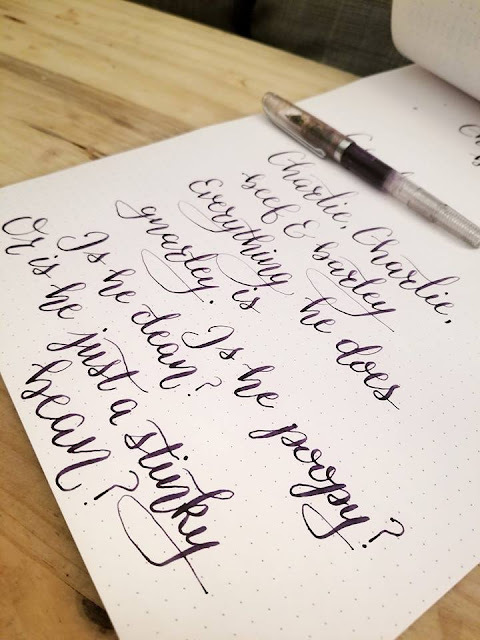 I recommend the Noodler's Flex and the Noodler's Ahab pens. If you don't like the hassle of dip pens but want the same look you can buy this Tombow Fudenosuke pen set on Amazon. I like to keep one of these in my wallet at all times. 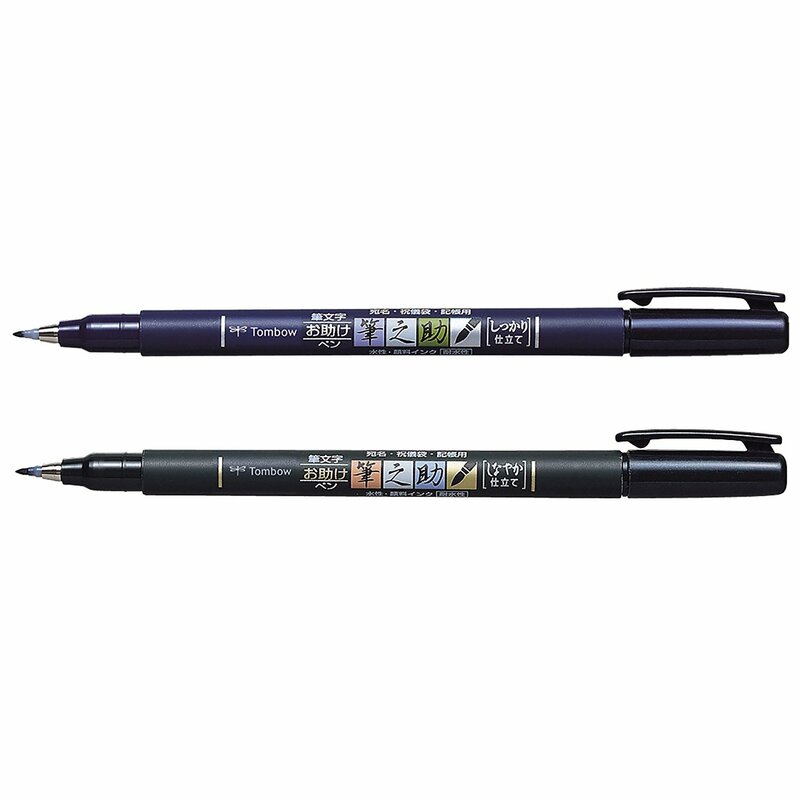 The tips are much much smaller than the regular brush pens so you can use these to write your signature or fill out forms. It's a great way to practice calligraphy in your everyday life. And that's it for now! But please stay turned for more modern calligraphy tutorials and free printables.